Water fire extinguishers are the original fire extinguisher and still one of the most used. We explain all in our simple guide. Summary: standard water fire extinguishers only work on fires involving flammable solids, but can be a good choice for some premises, such as warehouses and storage facilities. Water has an extreme cooling effect. When it is directed at flames, it lowers the overall temperature, making it impossible for the fire to burn. Pros: highly cooling and so puts fires out rapidly; no negative environmental impact. Cons: only works on one class of fire; dangerous if the water comes into contact with electrical equipment. 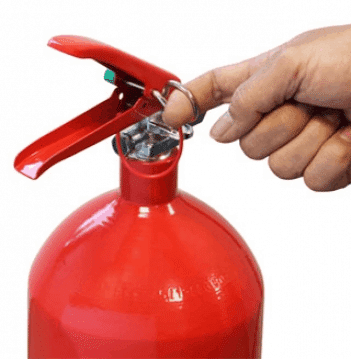 Whilst water fire extinguishers are the ‘original’ extinguisher, these days it is quite common to recommend foam extinguishers instead, as foam extinguishers tackle both class A and class B fires. 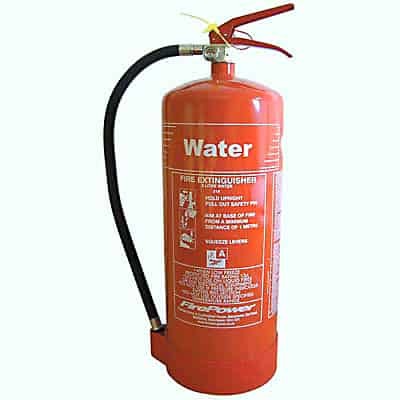 Water fire extinguishers are also well suited for domestic use, especially in living rooms and bedrooms. They are best paired with a CO2 extinguisher, so that electrical fire risk is also covered. Probably the safest type of extinguisher to use, with water fire extinguishers you essentially just need to point and spray. If you think you need water fire extinguishers, or if you are not sure exactly what you need, please get in touch with our friendly team by calling 0845 845 3001, or emailing info@surreyfire.co.uk. They can arrange a free survey visit for you from one of our BAFE registered extinguisher engineers. All of our extinguishers come with a 5 year guarantee, and we fit and commission them free of charge.